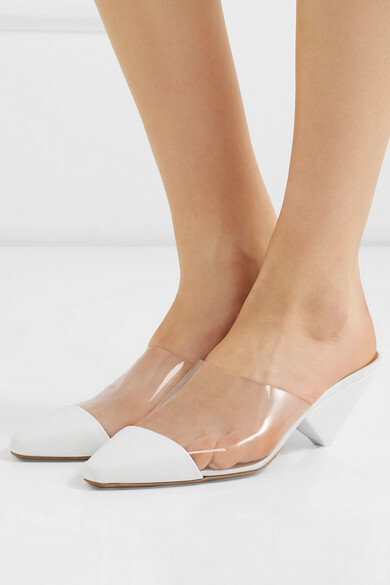 Neous' 'Eriopsis' style updates the much-loved mule silhouette in clear PVC and white leather. 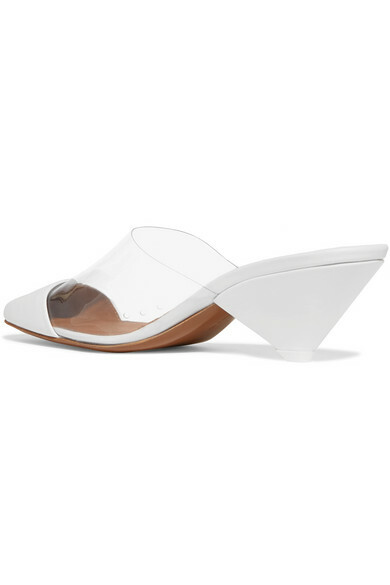 Set on cool conical heels, they have pointed toes to create the illusion of longer legs. They'll go with a whole host of party outfits, but will look just as chic with jeans and a tee, too. 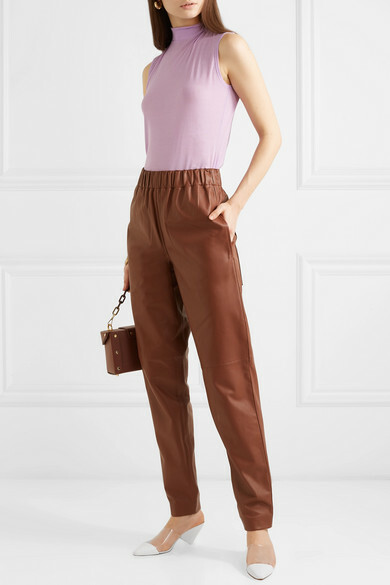 Shown here with: REJINA PYO Top, Tibi Pants, Yuzefi Shoulder bag, Ellery Earrings, Alighieri Bracelet.